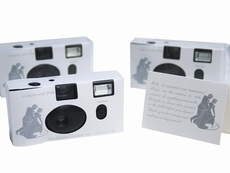 IdeaRibbon carries wedding cameras that allow your wedding guests to capture the special moments of your big day as they unfold. 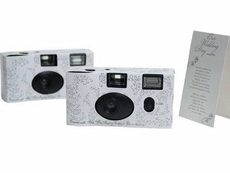 As a supplement to staged wedding photos, candid photos taken with disposable cameras show the real side of the event and help you remember all of the friends and family who made the day special. 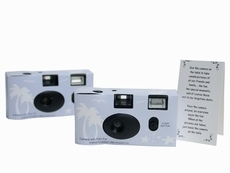 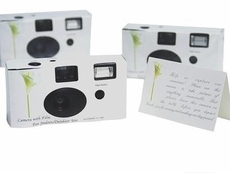 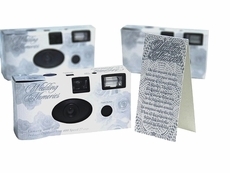 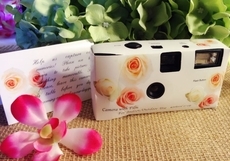 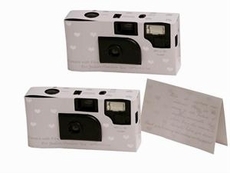 No matter what the theme of your wedding, disposable cameras in a variety of patterns to match your decorating scheme can be found here. 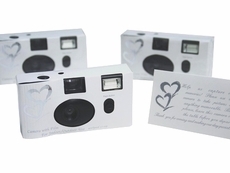 Tablecloths, organza, favors bags, and wedding favor boxes.